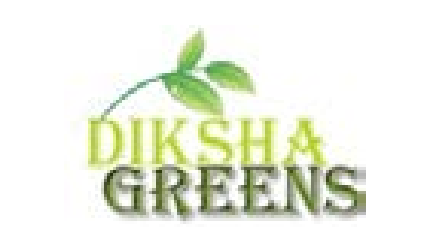 (i) Diksha Green Limited was originally incorporated on July 21, 2004, in Kolkata. Diksha Green Limited is a company engaged in the business of trading of timber, wooden logs, sawn timber and manufacturing of veneer sheets. (ii) In 2006 the company obtained Importer-Exporter code (IEC) and started importing the wooden logs and timber. It imports logs and timbers from many countries including Malaysia, Vietnam, Burma, Nigeria, Ghana, Ivory Coast, Ecuador, Salvador, Costa Rica, Solomon Island, Papua, and Guinea etc. (iii) Diksha has a Factory located in Baidyabati, Hooghly, West Bengal. In this unit, the logs are sold in raw form as well as sawn timber. Here veneer sheets are also produced as per the customer requirements. (iv) This year the company has decided to expand its business. It purchased a Multi-Commodity Cold Storage wherein storage facilities for fruits and vegetables are offered to traders/farmers. The company plans to involve into trading of fruits, vegetables, Dry Fruits, Egg, Fish, and Spices in future. Diksha Green has 9 employees on its payroll. LM is charging 75 lakh on 12 Cr issue is very huge. I think due to IPO drought in the market, the LMs are finding hard to survive.